The 75 meter long, 1537 dwt cargo vessel Darwin ran aground in the Lillebælt off Årø Island, Denmark. 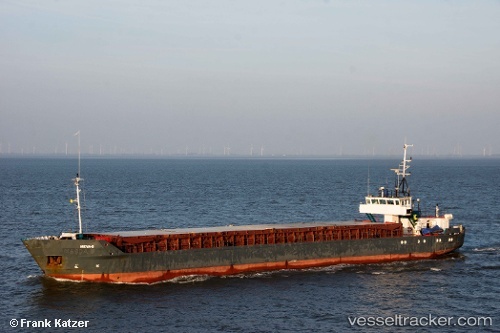 The Darwin was heading for Kolding from Hamburg with a cargo of sunflower meal when it grounded in shallow water. No reports of injuries. The Darwin remained aground as authorities requested diver to inspect the hull for damage. Reports state the cargo vessel had grounded near a fish farm and authorities were concerned over possible release of pollution. Divers inspected the hull and found no damage. The tug Baltsund was dispatched to the scene and pulled the Darwin free. The Darwin continued on its voyage to Kolding.